In the last five days of 2010, we are going to count down five of our favorite stories from some of our favorite authors in our first year. 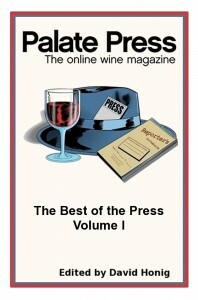 Today’s edition, Natural Wine: On a Practical Note…, by Rémy Charest, is one of our most linked and discussed stories. It takes natural wine from theory to reality. This story, and all the stories featured in our last week, can be found in The Best of the Press, Volume I, available in print or as an eBook for all platforms. So here I was, last spring, talking away with the recently-departed Marcel Lapierre, the Beaujolais vigneron who was one of the dominant figures of the natural wine movement in its strictest definition—organic in the vineyard, wine made with grape juice only, nothing added (not even sulfur), nothing taken out. And as we got into discussing the risks of wild fermentations without sulfur, I asked him what he recommended doing if a fermentation went off in the wrong direction, with undesirable microorganisms like Brettanomyces taking over the wine’s development. “You could add sulfur,” he said, matter-of-factly. If it’s that or losing the wine, he pragmatically pointed out, why would you hesitate? This kind of no-nonsense attitude, stated with a wise and calm smile, was quite clearly present in all of Lapierre’s discourse, and those of the other Beaujolais natural wine producers that came along with him to Quebec, last spring, to showcase their latest vintages. Jean and Agnès Foillard, Christophe Pacalet and Georges Descombes also showed a very practical take on natural winemaking, putting the accent on plant physiology and careful use of microbiology, rather than, say, flying stones or root vs. leaf days. Over lunch, the Beaujolais gang talked with great pleasure of the importance of using a microscope in their practice, to see the different kinds of yeasts present in the must (some balloon-shaped, others like lemons and other myriad shapes) and to see if other bacteria were also present and needed to be dealt with (essentially through racking juice from a healthy, happily-fermenting tank to one that could potentially get into trouble). Lapierre pointed out that if he hadn’t used sulfur in his tanks in years and years, it was because he had given himself tools to avoid situations that might have forced him to do so. Those discussions—and others I had over the last few months with other natural wine producers like Gilles Bley of Clos Siguier, in Cahors, a whole bunch of Roussillon winemakers like Tom Lubbe, Bruno Duchêne and Nikolaus and Carolin Bantlin, or Arianna Occhipinti, from Sicily—were quite a contrast with the way debates about natural wine have been taking place in various parts of the wine-writing world and the blogosphere. In the spring, I wrote a column on my own blog, The Wine Case, trying to sort things out after a fiery set of online debates, notably between Alice Feiring and Dave McIntyre of the Washington Post. Alice and Dave eventually talked on the phone, smoothing out their differences somewhat, and for a short moment, it seemed like things might go their… natural way. In fact, things have only heated up since the summer, and they show no sign of calming down. Then, in August, there was a post on San Francisco’s Natural Wine Week by Alice Feiring, who seems to be the lightning rod of all debates surrounding natural wine. She complained that the term was being used in a somewhat questionable manner in some parts of the program, leading in turn to incensed reactions by Andy Peay and Robert Sinskey, as they felt accused of being called out as “unnatural.” Twitter discussions and further blog posts and reactions went on for days and days after that. SF Natural Wine Week had become a contentious event. So I shouldn’t have been surprised by a recent note describing how one winemaker was “elevating the quality of the grapes through the most natural means possible.” How? “Through a constant experimentation with clones, yeasts, barrel styles and blending of wines from various lots and barrels.” An estate Chardonnay was blended from 12 lots, each fermented with a different yeast strain. That muddying of waters has become a growing concern and a growing topic in the debate. Steve Heimoff treated the issue in a very dismissive way in his blog post called Natural, Schmatural, where he essentially said he didn’t care about how wines were made. The comments in reaction to his “take” on the issue, as in the case of the Feiring blog, are worth reading as much, if not more, as the actual piece. But from here on out I’m talking about producers, the pleasure wine gives me. I’m removing myself from the ideological fray. If I don’t like a wine, what is the point of arguing total sulfur? I think “natural” advocates ought to ditch the “natural” label, which is hopelessly tendentious and polarizing, and should instead put the focus where it really belongs, on individual wines and winemakers. (…) And isn’t that what the natural wine movement is supposed to be about, anyway—standing up for individuality in a world full of cookie-cutter chardonnays? Call them good wines, call them distinctive, soulful, or funky wines—just don’t call them natural wines. That point of view, while understandable in the current, polarized atmosphere, begs the question: if you don’t call them natural (a term that the Lapierres saw as convenient, at most), what else are you going to call them? The problem is that there was never an official faith and never a doctrine. The blogosphere and media created a construct, milked-it for publicity and then deconstructed an “ideology” that they had helped to define and promote. (…)Let them criticize Natural Wines they don’t like, and God Knows there are many that I find badly done. But the movement to do better work in the vineyards and the cellar is something a journalist should be embracing, while criticizing the limititations or flaws of particular growers or wines. In the midst of all this heated debate, what has struck me as I talk with practitioners of strictly-defined natural wine—at least, the ones I met—is how non-dogmatic they tend to be. For them, natural, no-sulfur wine is an objective, something they decided to aim for, not the only way to go. 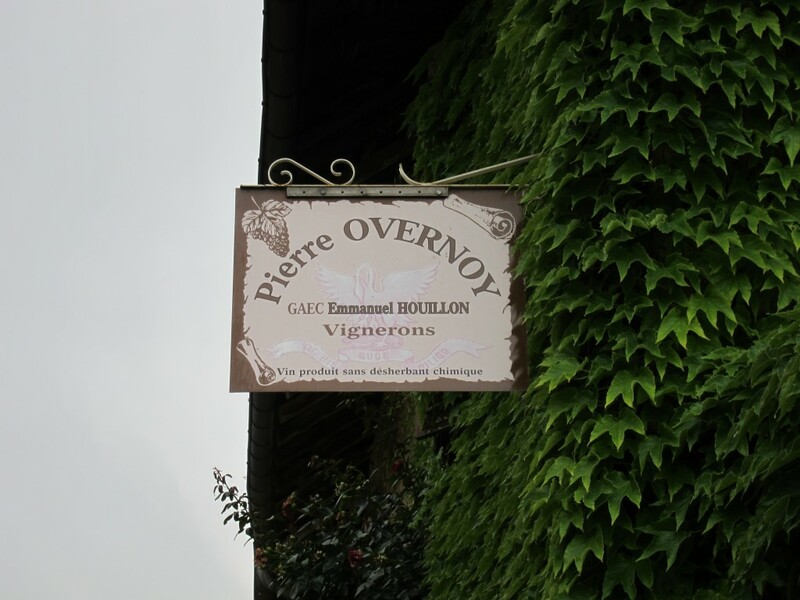 If you travel to Jura, one of the hotbeds of natural winemaking, you’ll see a sign hanging above Overnoy’s doorway in Pupillin. It doesn’t make any bold ideological statements, with its only statement being “Vin produit sans désherbant chimique” (wine made without the use of any chemical herbicide), even as there is much more going on. Just like Lapierre, Overnoy isn’t a man for grand statements – and he wasn’t averse to a little chaptalization, if a bad vintage required it. This distance between the ideological bickering and name-calling and the practice of natural wine can probably be attributed to one thing in particular: taste. Indeed, the driving force behind a lot of natural winemakers’ adherence to this philosophy seems to be a very personal wish to make wine more to their personal liking.. In Jancis Robinson’s recent column, Thierry Puzelat says that he simply started on this path to make wines he liked to taste, a story also told by the Beaujolais winemakers, among others. Lapierre recalled how, in the early 1970s, when he began making wine in the way he had learned it in oenology school, with cultured yeasts and sulfur and such, his father would frown when tasting the wine. “It’s how it’s supposed to be made”, Lapierre would say to his father, who had traditionally made the wine without sulfur or any addition. “I know, but it’s not good”, his father would reply. Lapierre eventually concluded the same thing, and dropped the modern approach in the early 80s. As a result, he told me, several producers from his neck of the woods would periodically drop by to drink his wine, telling him they just couldn’t drink the stuff they were making with cultured yeasts and other modern methods. When I asked Gilles Bley of Clos Siguier, a producer of refreshing, no-sulfur Cahors, why he didn’t use new oak, he simply and gently replied: “I just don’t like the taste.” As for no sulfur, he expressed that it was the way he knew how to make wine, and that you just had to be careful In handling the wine gently and protecting it well from oxidation. No tirades, no big statements, just a question of making wine the way you like to taste it. It’s the same kind of answer I also got from Jared Brandt, of A Donkey and Goat Winery, in Berkeley, who have been increasingly moving to no-sulfur wine, and actually published a manifesto on their natural approach to wine. When I visited them in late 2008, we tasted two versions of their superb grenache rosé, Isabel’s Cuvée, one that had been bottled with an addition of sulfur just prior to bottling, and the other one manually bottled without sulfur. The no-sulfur version definitely tasted fresher, with a brighter expression, encouraging him to move towards reducing the use of sulfur – notably in Isabel’s Crazy Cuvée, the no-sulfur version of the Grenache rosé. Already concentrating exclusively on natural fermentations, Jared and Tracey Brandt are actually looking to make more no-sulfur wines as time goes by. One of the key elements of natural winemaking is simply summarized in one word: prevention. Since you are not being chemically remedial, since you are not adding or removing stuff, you need to exert extra care at every step. Successful natural winemakers tend to be very empirical, and reducing their approach to tradition non-intervention and “wild” things happening in the cellar is simply wrong. 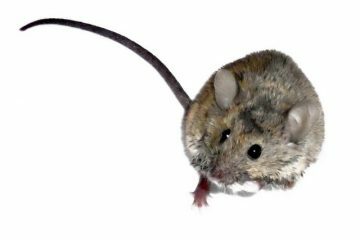 For instance, by using the services of a microbiologist, Lapierre and his colleagues learned that a traditional approach meant to solve a problem actually made it worse, and adjusted accordingly. Traditional wisdom said that, in warm years, you should pour juice over the fermenting bunches of grapes (Beaujolais fermentation is usually whole-bunch fermentation) to reduce the risk of lactic bacteria taking over and causing the wine to spoil. But as the microbiologist they hired looked through the microscope, she saw that the process actually increased the bacterial activity. Through this observation, they changed their procedure—notably by keeping the grapes at a cooler temperature—and helped reduce the prevalence of the problem. Prevention is also why minimal sulfur at bottling is one of the most frequent additions that natural winemakers consent to, when necessary. Marcel Lapierre only sent sulfured bottlings to certain destinations like the Caribbean, where the high heat and difficulties in storage would make life exceedingly hard for his non-sulfured bottlings. Despite these occasional problems, these winemakers remain committed to this goal of avoiding sulfur (and every other addition). If anything, the occasional mistake just teaches them to be even more careful and preventive and systematic in their approach. One other point that natural winemakers have repeatedly said in discussions I had with them is that natural winemaking works on a small scale, and that while most of them hope to make converts, they do not see the whole world of wine heading that way. 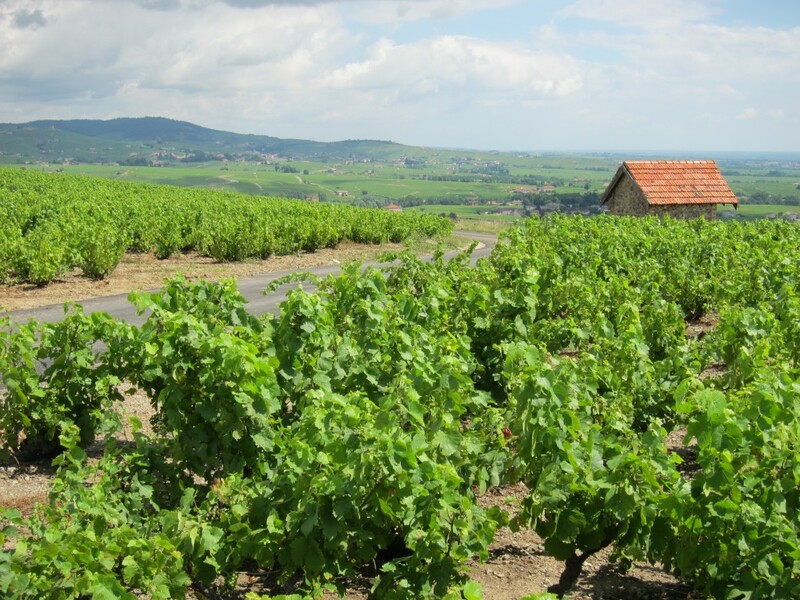 The Beaujolais winemakers were all unanimous in saying that they could hardly see anyone working in a natural, no-sulfur approach in estates larger than 15 to 20 hectares (40 to 50 acres, roughly). Controlling fermentations in a 20,000 liter tank simply can’t be done the same way as with a 500- or 1000-liter tank, they pointed out. Respect for those who do things differently, a will to be open without letting everything and anything being included in the movement, principles to guide wine growing and winemaking, yet pragmatism as to how those principles should be applied: not all is black and white, in the “continuum of naturalness” that is modern winemaking, as Jamie Goode calls it. Most vignerons who work the “nothing added, nothing taken out” way are quite aware of this, and don’t dream of no-sulfur hegemony. Maybe everyone should take a deep breath, and a big sip of good wine. Natural, if you so choose. Rémy Charest is a Quebec City based journalist, writer, and translator. He has been writing about wine and food for over 12 years in various magazines and newspapers. He writes two wine blogs (The Wine Case, in English, and À chacun sa bouteille, in French) and, as if he didn’t have enough things to do, he recently started a food blog called The Food Case. 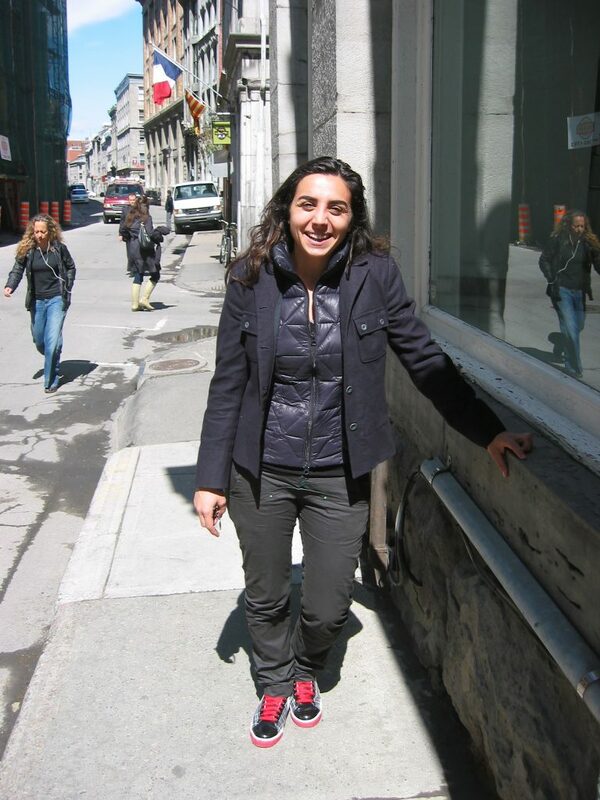 Rémy Charest is a Quebec City based journalist, writer, and translator. He has been writing about wine and food for over 12 years in various magazines and newspapers. 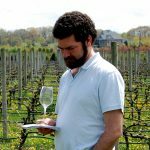 He writes two wine blogs (The Wine Case, in English, and À chacun sa bouteille, in French) and, as if he didn’t have enough things to do, he also started a food blog in English, The Food Case, and one in French, À chacun sa fourchette. Great Re-post, I missed it the first time! Thank you for this article. It was nice to read something balanced and thoughtful on the topic. We import two wines that could be called “natural.” Like others we’ve found the term to be polarizing, and so have started to talk about the wines being made in a more natural style – closer to the way wines were made a hundred+ years ago; no chemicals in the vineyard, wild spontaneous fermentation, no fining, no filtering, extremely little to no new oak. By talking about a stylistic approach rather than a moniker that sounds absolute – the wine is “natural” it seems to diffuse the initial introduction, which then allows us to talk about the wine – what characteristics in this wine best represent the terroir, which are most unique to this vintage due to wild fermentation, etc. It allows us to talk about the wine without hitting the tripwire term. I wanted to share this approach hoping it may prove helpful to others as they try to introduce more wines made in their wine-friendly and earth-friendly manner. I agree 1000% with your approach. While the term ‘natural’ is unfortunately polarizing, it is a necessary evil to begin a discussion. At the end of the day, it is only through tasting and communication that we can come to understand wine better. I hope one of the wines you are referring to is Haut Espoir, because I love those wines and what Mr. Armstrong and team are doing there.